Flex-fuel cars are a solid trend that’s taking off, with more people looking into cars that can be at least partially powered by alternative fuels. 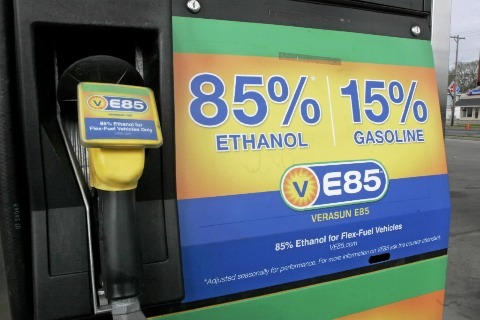 If you’ve seen E85 gas on sale, you might wonder if it’s a good thing to try out. First off, let’s define what we’re talking about here: this is gasoline that is 15% gasoline and 85% ethanol. This ethanol is derived from corn sources, a very renewable source of energy. So, why is ethanol so important? Well, since we can derive it from corn, we wouldn’t need to invest in foreign oil so much. Energy independence is something very important for many countries, as it avoids being manipulated by rising and falling oil prices. If a trade restriction were to suddenly come down, it would be very difficult to get gasoline at the same volume as purchased today. Ethanol is produced domestically, saving on transport and refinement costs entirely. Increased ethanol production means that there will be an increased demand for labor, which is always a good thing. Even though there are some people that wouldn’t or couldn’t work in those conditions, more jobs are good for the economy as a whole. If you’re looking for a more environmentally friendly fuel, you can’t go wrong with ethanol. It releases less carbon dioxide than gasoline does, with a net increase that is comparatively lower than regular gasoline. You’ll find it with ethanol, especially if you’re trying to fine tune your engine. The push for more performance out of cars is a mix of both productivity and pure pleasure. Who doesn’t want to drive a fast car that they can get every drop of performance out of? Well, the fuel used in the vehicle determines the efficiency of the vehicle. Did you know that you could be using ethanol blends right now, even if you don’t have a designated E85 vehicle? This is because engines made after 1980 are equipped to handle a bit of ethanol, up to ten volume of it in the gas you use all of that time. It might not sound like much, but 10% of every gallon of gasoline in the country can help reduce dependence on fossil fuels and foreign sources of oil. But what about those drawbacks? Well, the efficiency of ethanol is still not the same as diesel or gasoline, so it doesn’t give you as much power. What this means in reality is that ethanol tends to consume more fuel and have less gas mileage. Also, E85 and E15 blends have to be done in vehicles specifically designed for them. Cars manufactured before 20011 do not have the ability to automatically process these flex fuels, and the alcohol produced in the reaction can damage the engine severe, taking your car off the road. Another problem is that the manufacture of ethanol still has an effect on the environment. Fuel has to be used up by tractors and other farming equipment, along with tons of fertilizer and even some pesticides. After manufacture, it still has to be sent to fuel stations. While there are more fuel stations now, in the past this wasn’t the case at all. So even if you wanted to “go green” with E85, you still had a problem with finding a fueling station that could accommodate you. The manufacturing for ethanol still leaves a lot to be desired, as yields from corn are extremely low. Sugar-cane ethanol looks like the way to go right now, with fields able to produce 600 gallons an acre. If we can unlock better production efficiency, we will be able to ultimately unlock better prices for the consumer. The future looks bright, indeed.